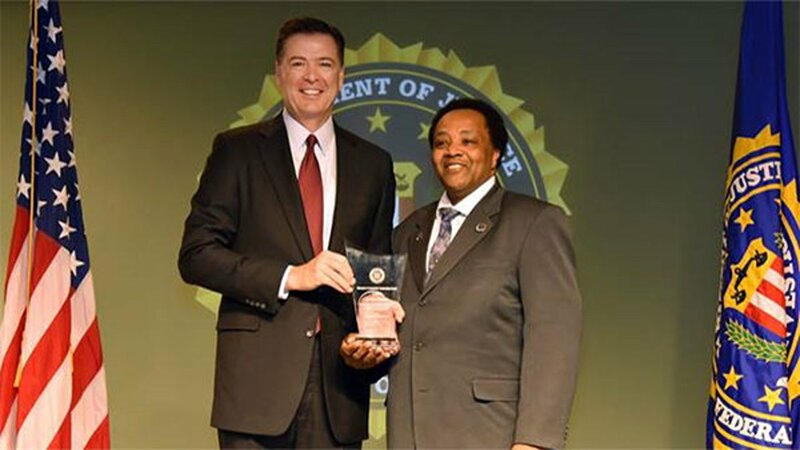 WASHINGTON (WLS) -- Chicago community activist Andrew Holmes was honored by the Federal Bureau of Investigation in Washington, D.C., Friday with an award from Director James Comey. Holmes received the 2016 Director's Community Leadership Award. All the leaders honored were selected by their area FBI field office for having demonstrated outstanding contributions to their communities through service. "This year's honorees have distinguished themselves in remarkable ways through their hard work, their leadership, and their strength of character. Time and again, today's award recipients have put others before themselves," Comey said at the ceremony. Holmes was praised for work as board member and president of Operation Restoring Innocence, his work with schools and churches, his mentorship of children, and also his work on community-based anti-gun marches and gun buy-back programs.